If you are using the SCU wireless system (BroncoWiFi), you will need to make sure you've logged into the wireless network before proceeding. To login, open a webpage on your mobile device (use an off-campus page like www.cnn.com or other page to see the login page). Before setting up a mobile device (or IMAP/POP/ActiveSync client) for the first time, you will need to set your Google Apps Mobile device password. You can do this step on either your computer or mobile device. To use the native Google Apps mail, contacts and calendar apps on your Android device, you need to sign in to your Google account. You only have to do this once. 1. 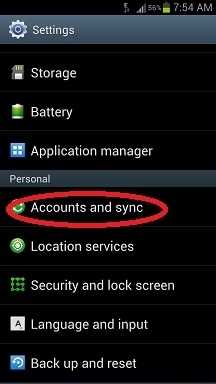 Open the Accounts & Sync Settings screen on your device. 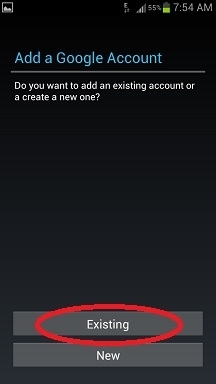 You can do this in Contacts by pressing Menu and pressing Accounts, or directly in the Settings application. 3. 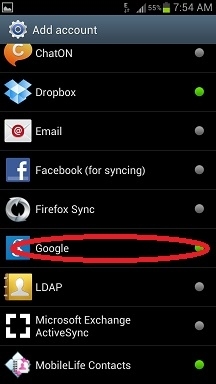 Touch Google to add your Google Apps account. 4. Touch Sign in or Existing when prompted for your Google account. 5. Enter in your full Google Apps email address as your username and then enter in your Google Apps Mobile device password (NOT your network ID password). 6. Select which services you'd like to sync. Synchronization will start within a few seconds. 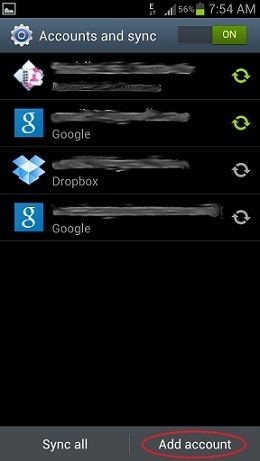 Just launch GMail, Google Calendar or whichever Google app you want to use from your device's home or applications screen. If an app isn't already installed on your device, such as Google Docs or Google Apps Lookup, search for it on Google Play. Most Android apps by Google can be installed for free.